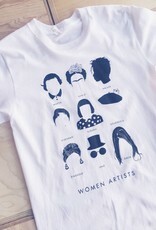 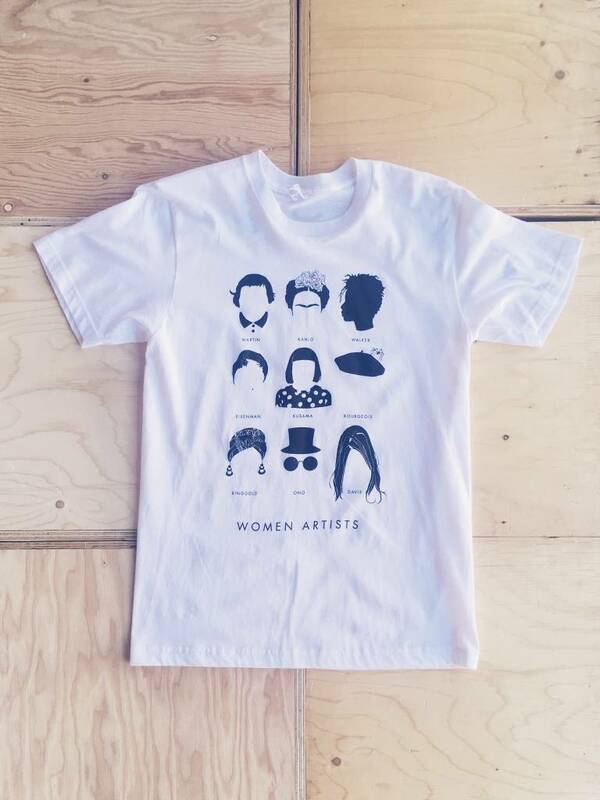 White cotton t-shirt printed in black with silhouettes of iconic artists. 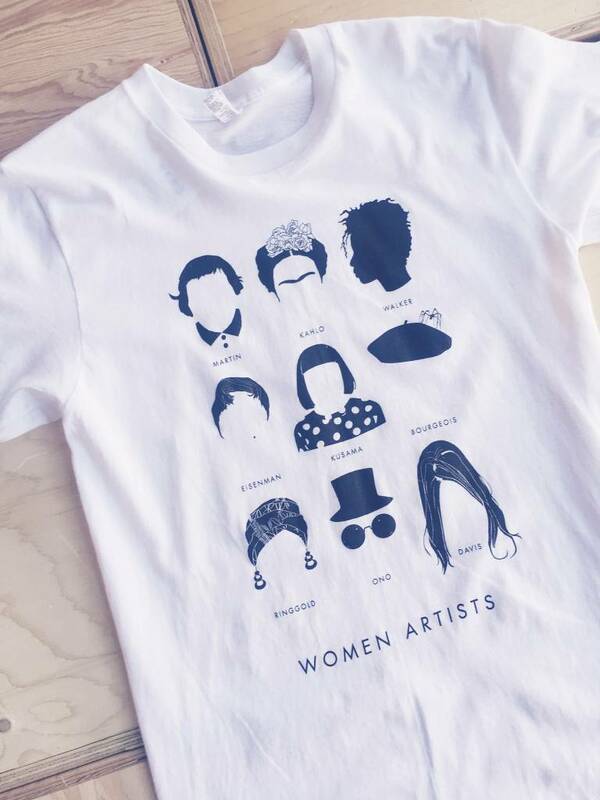 Design by Stefanie Boyd-Berks. S 37" - 38" 24.75" - 25"
M 39" - 40" 25.25" - 25.5"
L 41" - 42" 25.75" - 26"